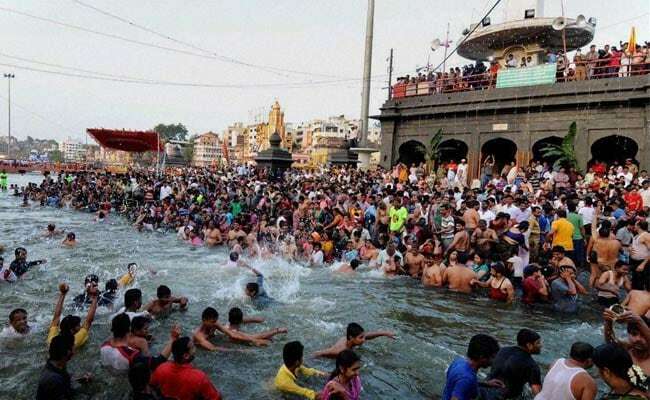 UNESCO Recognises Kumbh Mela As "Intangible Cultural Heritage"
Kumbh Mela, considered the world's largest congregation of religious pilgrims, joins new elements from Botswana, Colombia, Venezuela, Mongolia, Morocco, Turkey and the United Arab Emirates on the list. New Delhi: Kumbh Mela has been recognised by UNESCO as an "intangible cultural heritage of humanity", a tweet by the international organisation said. The Intergovernmental Committee for the Safeguarding of Intangible Cultural Heritage under the UN body inscribed Kumbh Mela on the "Representative List of the Intangible Cultural Heritage of Humanity" at its 12th session in Jeju, South Korea. The meeting, which opened on December 4, will end on December 9. "A matter of immense joy and pride for India," PM Narendra Modi tweeted. The inscription of elements on the list helps countries which are a part of UNESCO's convention for safeguarding cultural heritage to mobilise international cooperation and assistance for ensuring that communities continue to practise and transmit such aspects of their heritage. The Kumbh Mela, held in Allahabad, Haridwar, Ujjain and Nashik, represents a syncretic set of rituals related to worship and cleansing in holy rivers. The inscription of Kumbh Mela was recommended by the expert body which examines in detail nominations submitted by Member States. The Committee also took note of the fact that knowledge and skills related to Kumbh Mela are transmitted through the Guru-Shishya parampara (teacher-student relationship) by way of saints and sadhus teaching their disciples about traditional rituals and chants.